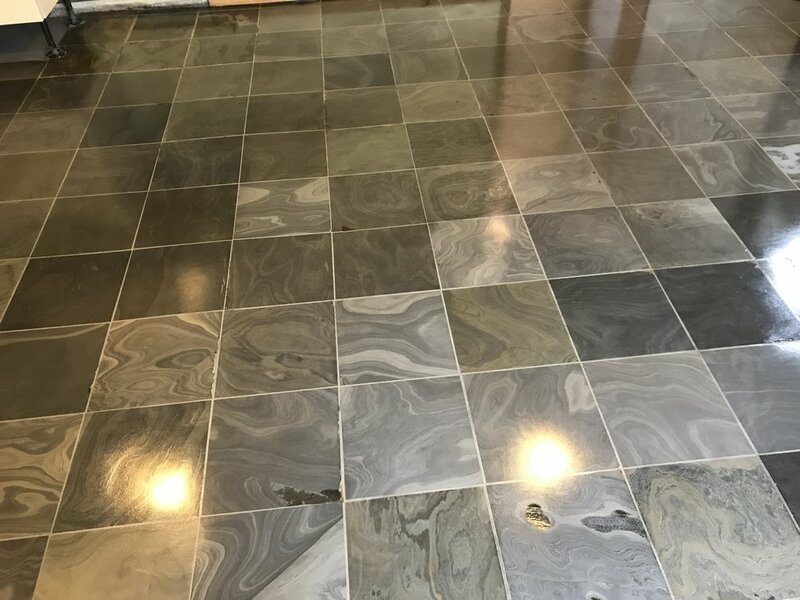 CleanAndSealUk were awarded the contract to sand and refinish some parquet floors in the Wills Memorial building Bristol University. 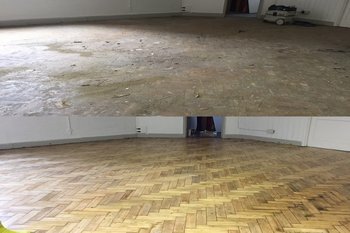 The parquet floors in the rooms were in a bad state and needed some blocks replacing and re fitting plus delicate sanding procedures to make sure the floors were restored to the best finish possible. 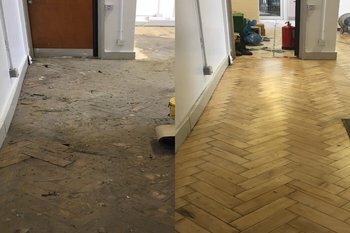 One of our teams carried out the floor sanding at the University in just 3 days. 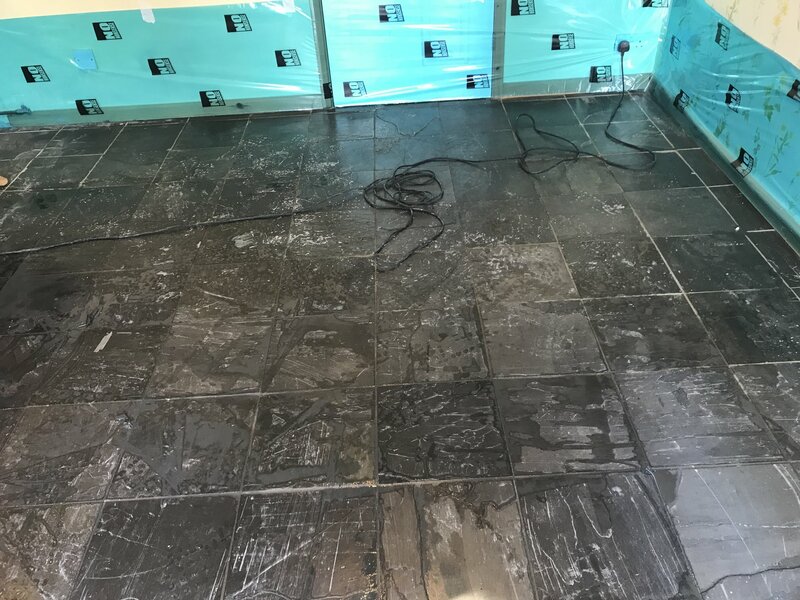 The floors needed at least 100 blocks to be set back down, then sanded back with the industry leading sanding machines from Lagler. The Lagler Hummel flattened the floors and then the Lagler Trio fine sanded them to give the floors the amazing smooth finish as expected by our clients. The client requested that the fully restored floor should be protected with Junkers HP Commercial. As you can see the floors were restored back to their former glory by our team. Visit our commercial wood floor sanding page for more information. Clean 'N' Seal UK Ltd won the tender to clean down the façade at the Horizon View complex on the sea front at Westward Ho! North Devon. Bud & Alison from Clean 'N' Seal UK arranged and met onsite with the appropriate person to discuss the works that were required to get the exterior façade back to life! and ready for other contractors to follow behind to paint and repair certain areas. The site inspection went well, with all aspects of the works to be carried out discussed in detail, with health and safety and specific equipment and the correct cleaning agents needed to get the desired finish the clients anticipated. All method statements, risk assessment and COSHH required were filled in and passed on to the relevant persons and accepted. The date was set to start, and everything that was required to fulfill the project was ordered and was either delivered to us beforehand or was going to be delivered straight to site on the start date of 18Th April 2017. As the first phase of the works were actually on the promenade at Westward Ho, the health and safety of the public was our number 1 priority. Every aspect of every movement of machinery, every way we worked, every type of cleaning agents we used and the least amount of working area we required was put into consideration for the safety of the public. On day 1 we had two 100ft mobile elevated work platforms delivered (also known as cherry pickers) over 150 metres of safety barriers and ample men at work signs. The first phase consisted of cleaning the aluminium arched roof, the render separating each balcony, which the building had over 100 of. The stainless steel balustrade, the glass panels, the powder coated plinth and the painted concrete structure and the floor of each balcony outside of the glass panels, the marmorit and K render walls. Our choice of cleaning equipment for this whole project was the Thermatech superheated water cleaning equipment, with temperatures reaching 150 degrees heat and pressure up to 150 bar, with water flow rate between 4-8 litres per minute. 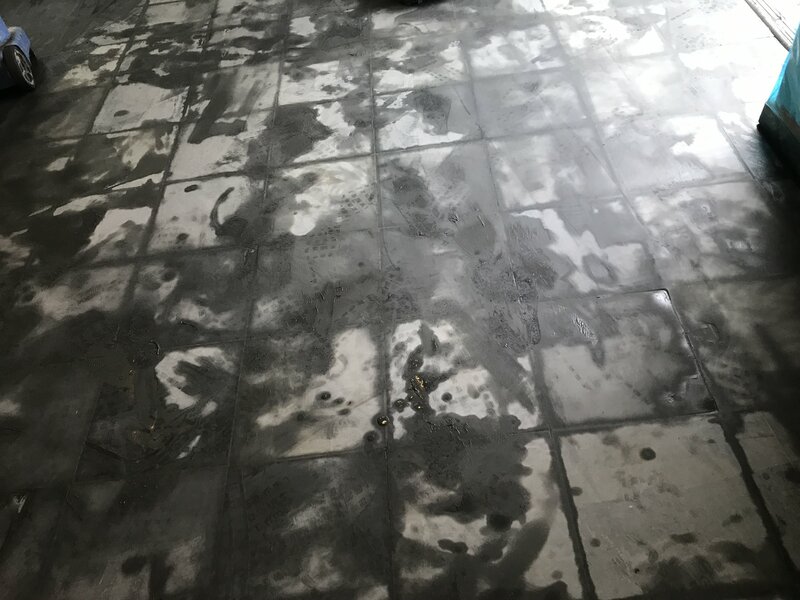 Each substrate we cleaned had to be assessed and a test patch required determining the correct combination of heat and pressure to clean, but not damage the substrate which needed cleaning. Small teething issues occurred straight away, one being that one of the cherry pickers was not working properly, which was frustrating as we had to wait until the following day to get it repaired, although we pushed on and got stuck in and found a great method that proved to be efficient and safe to everyone involved, including the public, which was busier than expected because of the Easter holidays. The works were going well and with great results that were visible straight away and we were getting great feedback from the tenants and the general public walking by and taking an interest in what we were doing. Quite often Bud would be explaining what was happening to members of the public, He would also like to thank Sharon for all the cups of coffee supplied, much appreciated. We did have a visit from the Environment Agency after concerns from a member of the public that some cleaning agents we were using would eventually make its way onto the beach and into the sea. After following advice and guidance from the agent, plus supplying him with all the relevant paperwork and doing a couple of tests we had clearance to proceed. The issue here was that harmful chemicals would harm the sea life. The promenade side was really looking great with amazing results that our team had achieved and we are proud of. The public was giving us some really great feedback, we even got mentioned on the Westward Ho! Community page on Facebook, which is really humbling. The works were on time and we finished phase 1 before the May bank holiday and moved the cherry pickers to the rear of the building and into the car park, this itself was a challenge because the main road around Westward Ho! is a one way system. No way was I driving a large cherry picker around the one way system, so we had to block off a 100 metre section and maneuver two large machines around the main roads along the promenade and back to the rear car park, sorry if you got caught in this and thank you for your patience. Phase 2 was slightly different to Phase 1 as there was a lot more render to clean. The Thermatech came into its own here on the render, nice and slow with 90 degree heat and 80 bar of pressure gave us amazing results and brought the render back to life in a matter of days. We off hired 1 cherry picker and replaced it with a scissor lift that we knew would be able to get to the far end of the building, which is very narrow and required another type of access machinery. All of the glass panels, stainless steel balustrade, pillars and roof were also cleaned to perfection; we had achieved amazing results that even surpassed some of the tenants’ expectations. We applied biocide to required areas of the building. We completed the whole project on time and we are delighted to of brought the Horizon View façade back to life. 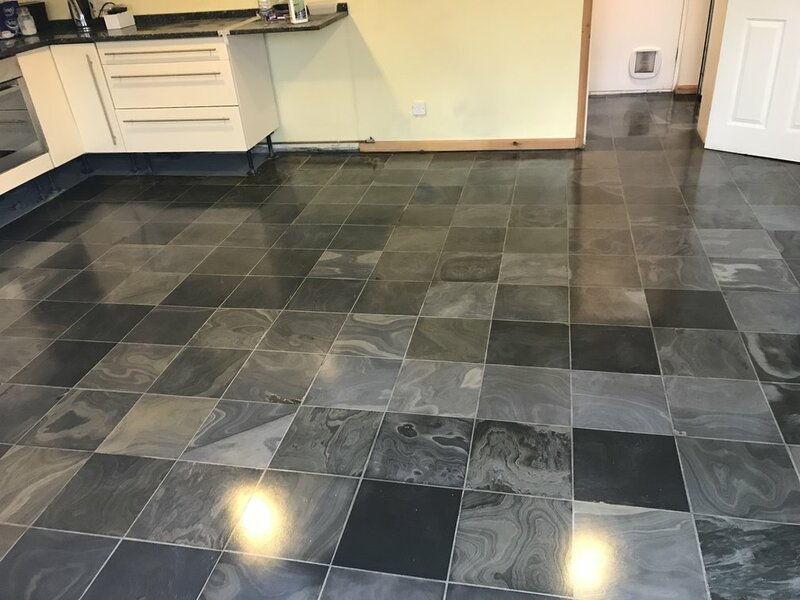 Clean ‘N’ Seal UK were contracted to lay a micro topping floor in a house in Clevedon, Somerset by a local building company. The micro topping was to be installed on a fully prepared concrete screed floor in the kitchen extension. The newly built extension was to help the homeowner who has a medical condition have her kitchen area light and airy. We arrived after the kitchen units were fitted and skirting boards put in place, we prefer to have a totally empty space to work with but sometimes this is not the case. The homeowner decided on a beige grey finish micro topping to suit the white walls and kitchen units, beige grey micro topping is a light concrete colour, our micro toppings have a varied colour selection that our clients can choose from. Our micro topping process can take as little as 3 days, but this has to be in the very best conditions available, for example, the sub base needs to be totally flat with no paint or plaster on the surface that would need removing, that there are no holes or cracks that would need filling, there is no movement in the sub base if it was made from timber, if we are applying micro topping on a timber floor then we cannot guarantee any movement that could cause the micro topping to crack, luckily that was not the case here. We arrived on site and prepared the base by removing any small particles of plaster and paint that was present, and then we prepped the room by protecting all areas that were directly next to the floor area, ie. skirting boards, door ways and kitchen units. I invited a video production company called Sasi Films along to film this project. Sasi Films director came along himself to film our work. He explained in depth what he wanted to achieve beforehand and I was completely confident that we were going to have a promotional film that we could show our future clients what we can achieve with micro toppings. 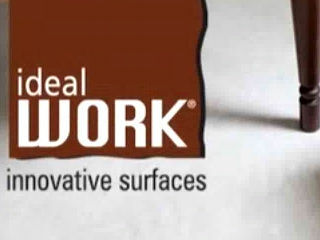 On this project we used Ideal work products that we have confidence in, Bud our director is fully trained to use these great products after going to Italy and learning with the best at their headquarters near Venice. The video below goes though the whole micro topping process step by step, and even shows Bud on his hands and knees giving the floor the Bud Mott Movement that is unique only to him. 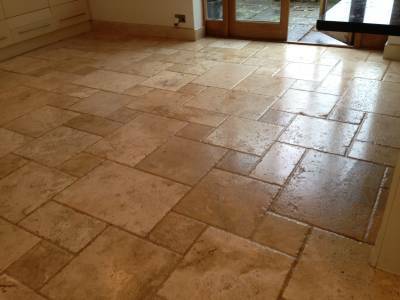 We finished the micro topping floor to the delight of the homeowner who was over the moon with the final result. And we have already had other potential customers view the floor and have asked us to undertake their micro topping projects for them. 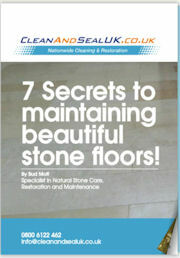 If you like what you see and would like to know more about our micro topping surface service then feel free to contact our offices on 01275 818329 or go to our micro cement page on our website http://www.cleanandsealsouthwest.co.uk/micro-cement.html, we cover the whole of the UK, and would be more than happy to provide you with any information or provide you with a quote.